As the partial government shutdown stretches on, many individuals, families, and businesses around the country are struggling. At the heart of the shutdown and budget standoff is President Trump’s promise to “build the wall.” Yet for many people and businesses along the border, this is the last thing they want. 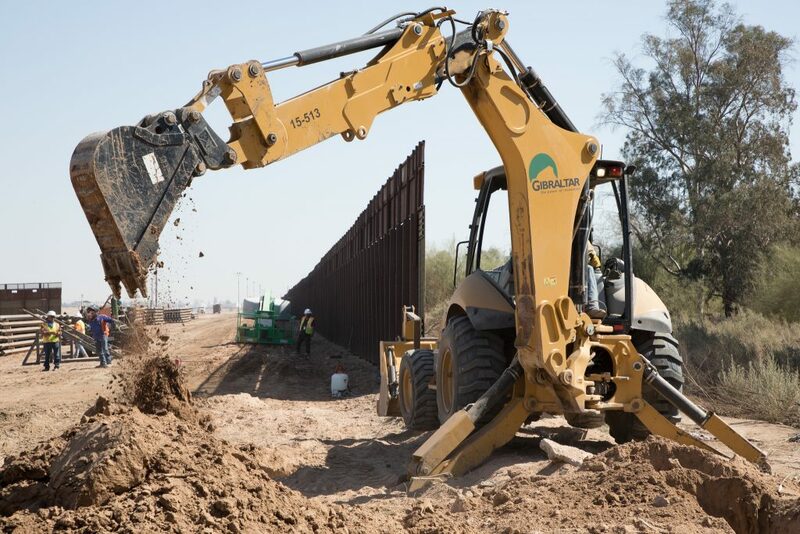 Ahead of President Trump’s visit to the U.S.-Mexico border last week, business owners and leaders spoke out against the president’s continued demand to build additional fencing along the border. Business leaders in San Diego say that President Trump hyper-focusing on the wall is bad for the local economy and also an ineffective way to use taxpayer money, in part because the wall itself and the construction process can make it harder for people to cross the border at legal ports. With an estimated 90,000 northbound daily crossings at the San Ysidro port of entry, it is vital that business employees, customers, and goods or services can cross the border smoothly and efficiently. Businesses and communities throughout the border region have long voiced concern about the border wall and militarization stifling cross-border commerce, literally creating barriers that cut into vital revenue and relationships. According to Karim Bouris, executive director of Business for Good San Diego, San Ysidro businesses lost upwards of $5 million in November when the government closed the busy border crossing for several hours to install additional security barriers. In Santa Cruz County, California, businesses near the Tumacácori National Historical Park suffered when there were fewer visitors and tourists coming to the park from the Mexican side. Fewer tourists and shoppers means less money for the city of Nogales in Arizona, which relies on its sales taxes to pay for important services like law enforcement and sanitation. In border towns like Nogales, thriving businesses that attract new and return customers are vital to the local economy. In addition to U.S. businesses relying on shoppers coming from the Mexican side of the border, increased military presence and border fortifications negatively impact Americans visiting Mexico. For example, the U.S. government recently purchased a public parking lot in Nogales close to the border. Rather than sitting in long car lines to cross the U.S.-Mexico border, U.S. residents have parked in the lot and gone through the pedestrian crossing into Mexico, which is often a more efficient way to cross for short trips. The lot is currently inaccessible. After the government bought it, they closed the lot to the public and started filling it with military equipment. Without access to the lot, border residents have to park further away or skip the trip altogether—meaning fewer dollars added to the local economy and ultimately less money for public services in Nogales. When it comes down to it, border businesses and residents have been dealing with the presence of military personnel, equipment, physical barriers, and yes—a wall—for years. The border wall already exists and shutting down the government in an attempt to get money to build even more is a poor economic and policy decision. Ask those who see and cross the border every day—taxpayer dollars should fund policies that make ports of entry more efficient, safe, and support the people and businesses that make the border a viable place to live and visit.